This book rehearses familiar arguments for Intelligent Design; namely, that some things are too improbable or complex to have arisen by evolutionary (natural) mechanisms. There is essentially nothing new here, though instead of discussing the bacterial flagellum, or the eye or the immune system or any other complex biological system (for the whole of biology, from the molecular to the cellular to the organismal is highly complicated), Axe presents his arguments from the viewpoint of protein evolution. This is a highly technical area of research, yet the book is written in a polemical style in order to appeal to a lay audience. From the outset it is clear that Douglas Axe is engaged in a personal crusade; he considers that he alone is right and the greater number of other eminent scientists are either wrong, deluded, or engaged in some sort of conspiracy. The opening chapters of his book clearly state that his overall arguments are not concerned with science alone, but with demolishing a thoroughly materialist and scientistic view of the world. In one sense his dogged intellectual determination is commendable, but his dismissal of anyone who disagrees with him as being blinded and part of a corrupt system is rather arrogant. His personal attacks on eminent scientists such as Perutz and Ferscht are unnecessary; these are highly intelligent people. His response to the fact that they disagree with him, accusing them of bias and closedmindedness, is not helpful. The book makes frequent attacks on ‘Darwin’ and ‘Darwinism’ rather than evolution. Darwin elaborated the arguments for natural selection and descent with modification, but he had no mechanism to explain this. He had no knowledge of genes, proteins, enzymes, DNA, etc. It is remarkable that all these later discoveries have served to support the evolutionary paradigm and have led to the presently accepted neo-Darwinian synthesis. In the first chapters, Axe’s arguments against materialism are overblown. Axe rejects pure materialism—so do I! Christians affirm God’s immanence and his upholding of all creation. All descriptions of the world will be descriptions of his handiwork, so there can be no pure materialism that is divorced from God’s presence and from his continual upholding of the universe. But don’t confuse words; when Axe uses the word ‘materialism’ he could equally well say ‘scientific’. One doesn’t have to invoke the existence of God in order to investigate the way that the world works, though a Christian will of course acknowledge God’s hand in all that we see, and give him the glory. Reading his words gives the impression that the options are binary—either accept evolution as an anti-god (scientistic) enterprise or re-introduce other explanations for the complexities that we see in biology. But that is far too simplistic. Most evolutionists are not hell-bent on an anti-God agenda (though some are!). It is a genetic fallacy to equate evolution with scientism. In so doing, Axe ignores the majority of scientist Christians who accept evolution, yet acknowledge that there are limits to what science can say. There is some implicit anti-intellectualism throughout the book and it is intensely worrying (“All Humans Are Scientists,” 60-64), and this way of thinking then turns in on itself as he attempts to use complex science to undermine established (and many would say proven) scientific concepts. Axe introduces the terms “common science” and “universal design intuition” so that when it comes to defending the big questions of our origin, everyone is scientifically qualified to enter the debate (63). However, he then proceeds to undermine his own polemic by continuing, “This doesn’t apply to intrinsically technical subjects, of course . . .”; he then sets himself up as the technical expert.Reading his words gives the impression that the options are binary—either accept evolution as an anti-god (scientistic) enterprise or re-introduce other explanations for the complexities that we see in biology. But that is far too simplistic. Much of what we understand in science is not intuitively obvious, but requires detailed experiments and rigorous analysis. Simple “common sense” would say that the sun revolves around a flat earth, but the evidence suggests otherwise! There is little that is intuitively obvious about quantum physics! In all these things, we need to get out and do the experiments, to explore the world, and not to sit and pontificate about what might seem obvious. Mere uninformed “common science” is not sufficient and there is much in science that is counter-intuitive. For the Christian, this mandate is especially pertinent; we cannot trust our own intuitions and biases. Christians are invited to ask questions and to explore the world looking for rational, scientific (materialist if you must use that loaded word) explanations. We also need the humility to acknowledge that ‘we don’t yet know’ is a respectable scientific answer. Axe’s approach is disturbingly close to the view of ‘who needs experts?’ that seems to be prevail in popular politics. Yet, of course Axe sets himself up as an expert, and his opinion is supposed to resonate with our own common sense/science. A “common-science” approach would be equally confused about the process of human development, from a single zygote to trillions of cells in a highly organised human being. It is a remarkable and awe-inspiring process, but it doesn’t require divine intervention at every step along the way, though we are indeed fearfully and wonderfully made, knit together in our mothers’ wombs. So to assume that any lay person’s “common science” is sufficient to elaborate a view on complex issues is dangerous nonsense. 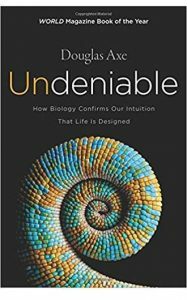 Axe’s book makes the implicit assumption that biology is goal-directed and that it is looking for solutions for selected problems. However, in many ways biology is opportunistic, taking what works and then using it and improving its efficiency. Biology simply works! That is why we see so many examples of what would appear to be bad design to an engineer. Some aspects of biology are like Heath-Robinson contraptions, rather than machines made by an intelligent engineer for dealing with specific problems. This make no sense from an engineering (‘design’) perspective but it is perfectly reasonable when seen as the product of a long evolutionary process in which things just work. Many of Axe’s arguments seem to assume that the enzymes that we have today were first generated in their present highly efficient forms. This is mistaken; enzymes work as catalysts, speeding up chemical reactions by as much as a billion-fold, and have become fine-tuned to do this with maximum efficiency. Their primitive precursors would have been much less efficient, accelerating reactions by a few-fold, as the first step on a long evolutionary road of trial and error, climbing the mountain one step at a time, rather than one giant leap. Axe makes several simplistic analogies in this book, but the one about pasta-alphabet shells is especially inappropriate; proteins don’t self-organise in an all-or-nothing fashion, but by stepwise accumulation of changes and additions. Axe will be aware that enzyme evolution is much more complex than the simple alphabet soup model that he has presented. Yes, life is very complicated! When Axe does consider scientific results, he focuses almost exclusively on his own fascinating, but very narrow, research (published in 2004). His results are not wrong, but the experiments are of limited value for making wide-ranging assertions about the entire scope of evolutionary theory. Others have criticised the interpretation of Axe’s experiments, which involved studies on rescuing a highly mutated (temperature sensitive) form of beta lactamase.His results are not wrong, but the experiments are of limited value for making wide-ranging assertions about the entire scope of evolutionary theory. There are indeed several very different enzymes with this activity that have totally different structures, which itself demonstrates that this particular reaction is not restricted to a single type of protein fold. Throughout this book, Axe ignores the vast amounts of evidence that support evolution that come from comparative genomics, genetics, palaeontology, embryology, anatomy, evo-devo, etc. While it is not possible to review the entire sweep of science in a single book, this disregard of the vast majority of supporting scientific literature is deceptive. As Axe should well know, it is very bad scientific practice to set aside inconvenient data when constructing a scientific hypothesis. He asserts that this is what evolutionary biologists are doing, yet he has done this on an even grander scale! Yes, Axe’s results may lead us to question some aspects of the minutiae of protein evolution, but that does not amount to a full-scale assault on the entire evolutionary paradigm. I could find no reference in Axe’s book of things like directed evolution (which is successfully practiced in many molecular biology laboratories), SELEX (for producing active species from random libraries that contain trillions of different combinations), the RNA world (as a precursor to the one requiring DNA, RNA, and proteins), or any of the current speculations on how life might have arisen. What then does Axe’s Intelligent Designer actually do? Axe seems to allow for some forms of evolution on the small scale, but the theological implications for this are disastrous—we are left with a designer God, who doesn’t get things quite right and uses ‘natural processes’ to take over and make minor refinements to systems that have been left in an imperfect state. This is far removed from the Christian view of God who continually upholds the entire universe. He is far more than an engineer or tinkerer who sometimes steps in to give things a kick-start. Axe needs to give much more detail about exactly what he proposes that the Intelligent Designer does and how he operates. 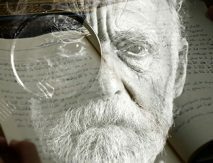 Even if we were to grant that some things are the specific intervention of a deliberate ‘designer’, a scientist will always ask, “How did He do it?”—by some miraculous (irreproducible) feat, or by the very same ‘scientific’ principles that God uses forAxe needs to give much more detail about exactly what he proposes that the Intelligent Designer does and how he operates. the day-to-day upholding of the fabric of the universe? Axe needs to clarify where his views leave scientific research. In some areas, such as evolutionary biology, his assertions would compel us to stop asking the ‘how’ questions that are the very stuff of science. Where would we be now if scientists since Darwin had all said “it’s all too complicated, so let’s stop asking questions about mechanisms, because it must have been designed”? Most of our present knowledge (which has revealed more and more of the wonderful world that God has created), would have been missed in a mistaken desire to attribute to God the things that I can’t understand. A real scientist is not ashamed to admit that “we don’t yet know, and our theories are inadequate, but we’re working on it”. So, while I honor Axe’s overall desire to acknowledge God’s activity, his specific conclusions are unwarranted. I too find that evolution by natural selection over billions of years is a hard concept to grasp, though intuition or arguments from incredulity are seriously inadequate. 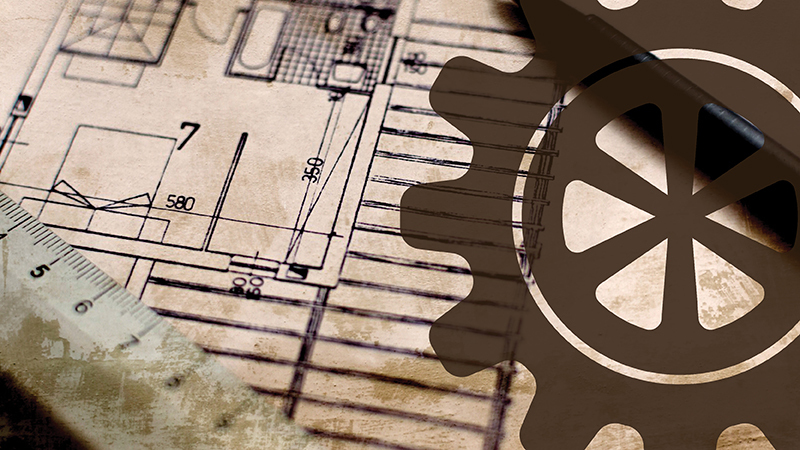 The theological implications of his position reduce God to the role of a tinkerer, in which some things are ‘designed’ while others are the result of natural processes. For those who are Christians working in the scientific community, his fallacious arguments are worse than unhelpful and serve to reinforce the misconception that science and Christian faith are in conflict. Keith Fox (PhD Cambridge) is Associate Director of The Faraday Institute for Science and Religion in Cambridge, and Professor of Biochemistry at Southampton University. He studied natural sciences in Cambridge where he completed a PhD in 1980. He moved to Southampton in 1987 and became Professor in 2000. His research concerns DNA structure and recognition. He is Senior Executive Editor of Nucleic Acids Research and Editor of Science & Christian Belief. He is a licensed lay minister in the Church of England.